Cultivate the Healthy Relationships that God Created You to Enjoy! Relationships are important to young ladies. Girls want to have close friends, but sometimes find themselves lonely or involved in friendships that don't bring out the best in them. The Lord has a plan for His God's Girls. Who are God's Girls? 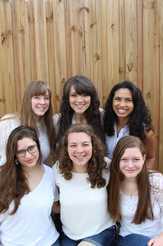 They are real young women who love Jesus and are serious about pursing Him! Every lesson opens up with God's Girls answers to the first question. There is a place for your own God’s girl to add her picture and write down her answer too! If your daughters want to learn more about friendship inside and outside the home, this Bible study will strengthen the relationships in their life. Friendship adds joy to life! Ladies of all ages desire close friends to laugh and cry with, as we run the race that leads us home to Heaven! Discover Biblical principles of making and keeping friends see relationships transformed. This Bible study written for pre-teens and younger teens and is the same material found in Friends to the End. We used this Bible study for teens and tweens while the ladies went through Friends to the End. Use God’s Girls Friends to the End alone or in a group setting to unlock Biblical principles that will strengthen all the relationships in your daughters’ lives. The God’s Girls Series is for young women ages 11 to 28. This God's Girls Bible Study is written for tweens and young teens. Julianna, Jimmy, and Josh talk about their friends, what makes a good friend, and how to be a good friend here. 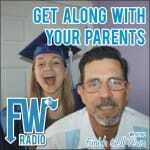 T.J. and his dad Tim join Jenny Rose and her father MIke to talk about parent/teen relationships and working through trouble spots here. Gods Girls Chase After God! Each chapter in this Bible Study covers truths that will transform your heart and life. You can purchase the print version of God's Girls riends to the End Bible Study at Amazon.